Frank Clair’s studious manner and football savvy earned him the nickname “The Professor”. During Clair’s lengthy coaching career in the CFL, the teams that he coached had 174 wins, 124 losses and 8 ties. They appeared in the Grey Cup 6 times and celebrated Grey Cup victories in 1950, 1952, 1960, 1968 and 1969. While Clair was the general manager with the Ottawa Rough Riders, they won the Grey Cup in 1973 and 1976. 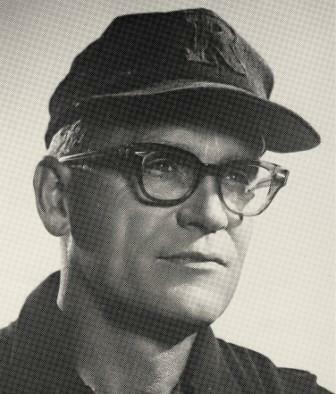 After leaving Ottawa, Clair was a scout for the Toronto Argonauts. On April 8, 1993 the former Lansdowne Park in Ottawa was renamed “Frank Clair Stadium” in his honour. Frank Clair is a member of the Ottawa Sports Hall of Fame.